"Tannhauser" ("Tannhäuser" in German) is a short fantasy drama made by Thanhouser Company. Because the film title and the company that produced it look almost the same, let's clear a possible confusion. The film is based on "Tannhäuser", an opera by the German composer Richard Wagner; Tannhäuser is the name of the main male character of this opera. Thanhouser Company was created by Edwin Thanhouser in 1910. It produced 1030 silent films (per IMDB). Tannhäuser (James Cruze) and Princess Elisabeth (Marguerite Snow) fall in love, but she is engaged to Wolfram (William Russell). Then Tannhäuser is enchanted by the pagan goddess Venus (Florence La Badie). Most of the film consists of extended religious episodes, which may or may not appeal to contemporary audiences. For this reason we offer you two versions: the first one is the whole film and the second one includes only the episodes with Florence La Badie. Those viewers who are interested in the full version are advised to read the plot synopsis on the Wikipedia page of the opera here. Florence La Badie hears some nice music in "Tannhauser" (1913). Florence La Badie tries to find the source of the music in "Tannhauser" (1913). Florence La Badie sees the musician in "Tannhauser" (1913). Florence La Badie tries to lure the singer in "Tannhauser" (1913). Florence La Badie reaches for the singer in "Tannhauser" (1913). The singer cannot resist the charms of Florence La Badie in "Tannhauser" (1913). Florence La Badie lures the singer to the mountains in "Tannhauser" (1913). 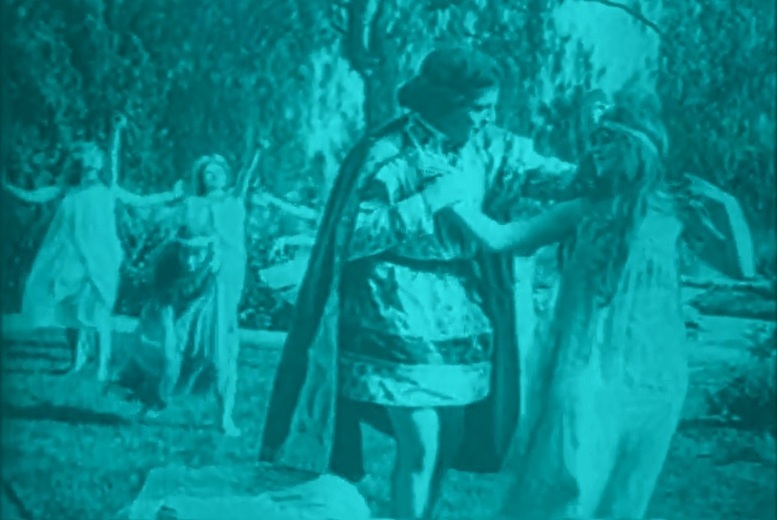 James Cruze is enchanted by Florence La Badie in "Tannhauser" (1913). James Cruze seems to hesitate as Florence La Badie persists in "Tannhauser" (1913). James Cruze is infatuated with Florence La Badie in "Tannhauser" (1913). 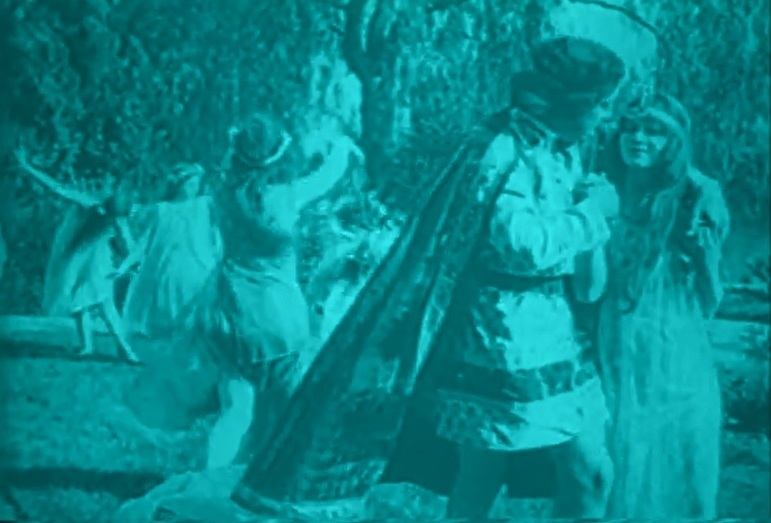 James Cruze and Florence La Badie take a walk in paradise in "Tannhauser" (1913). James Cruze and Florence La Badie are in love in "Tannhauser" (1913). James Cruze and Florence La Badie share a moment in "Tannhauser" (1913). James Cruze wants to go as Florence La Badie reaches to hold him in "Tannhauser" (1913). James Cruze resists temptation as Florence La Badie reaches for him in "Tannhauser" (1913).